Australians love their coffee, there’s no denying it. 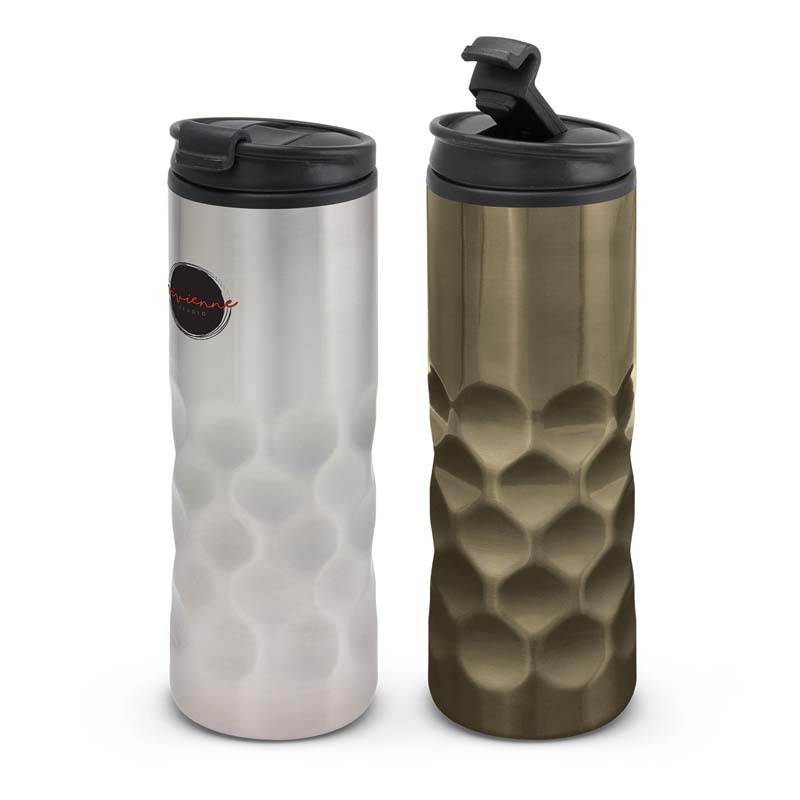 We easily each drink a cup every day, if not more! Whether we drink it when we wake up, stop for a coffee on our way to work, or drink a cup on our morning tea break, we’re constantly looking for our next fix. 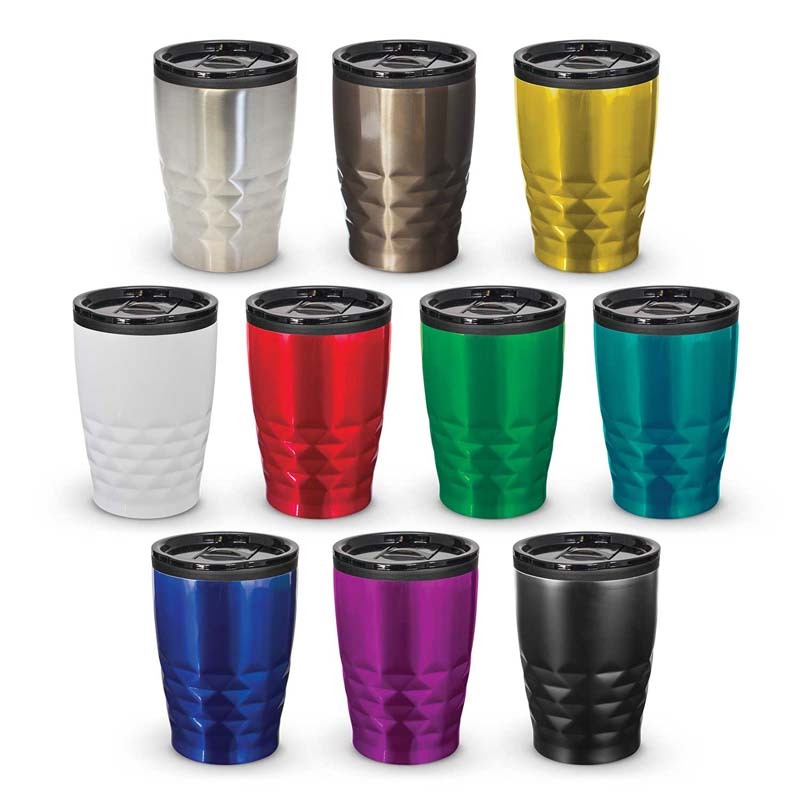 That’s why we think promotional metal coffee cups are such a great advertising tool! 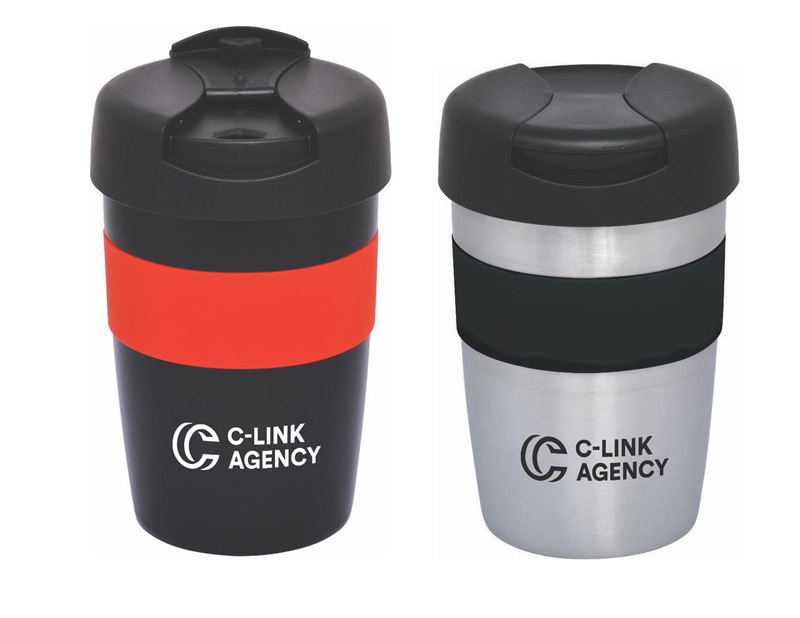 You can promote your business whilst enjoying a hot beverage on the go! 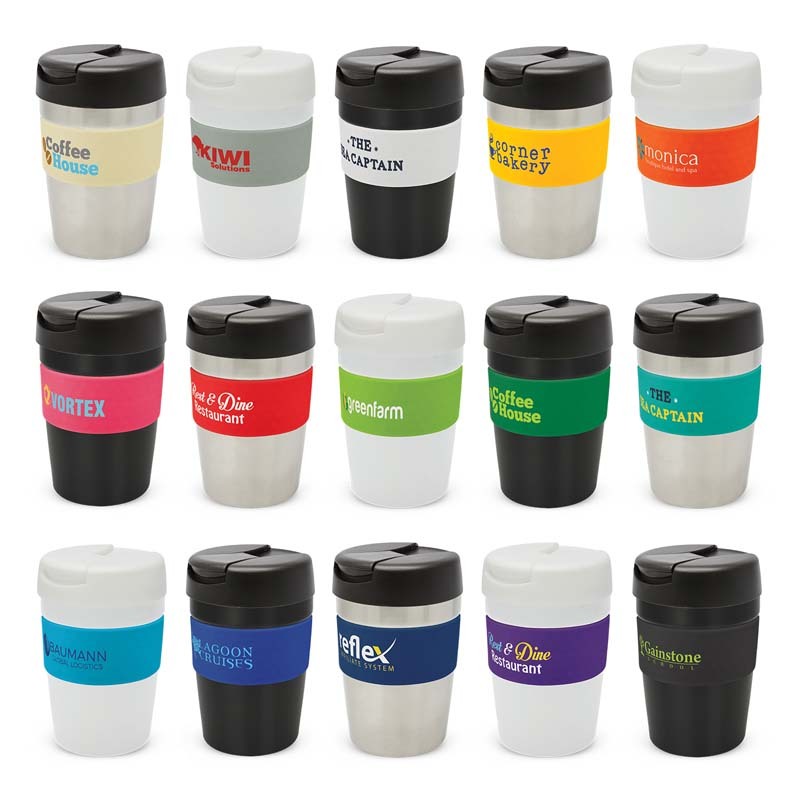 How will my business benefit from promotional coffee cups? Before investing in marketing material, it’s always best to sit back and consider how they will improve your current success. At Novel Tees, we don’t think flashy or in-you-face techniques are the best method – they usually end up alienating customers. Instead, we prefer products that can be used over and over again to reinforce your brand to your clients. 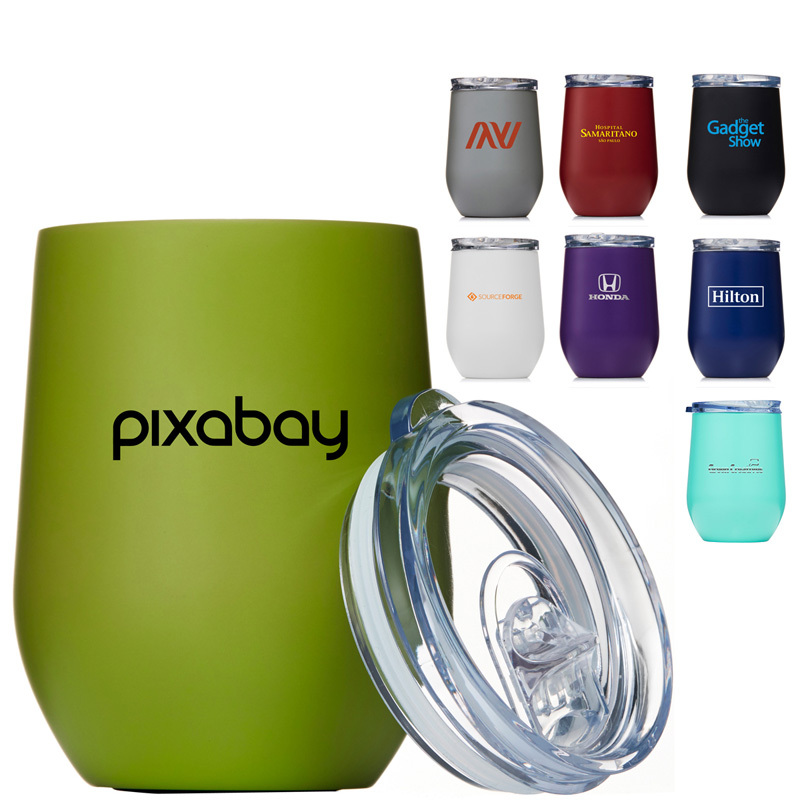 That’s what makes printed coffee cups from metal, glass or plastic such a great tool! 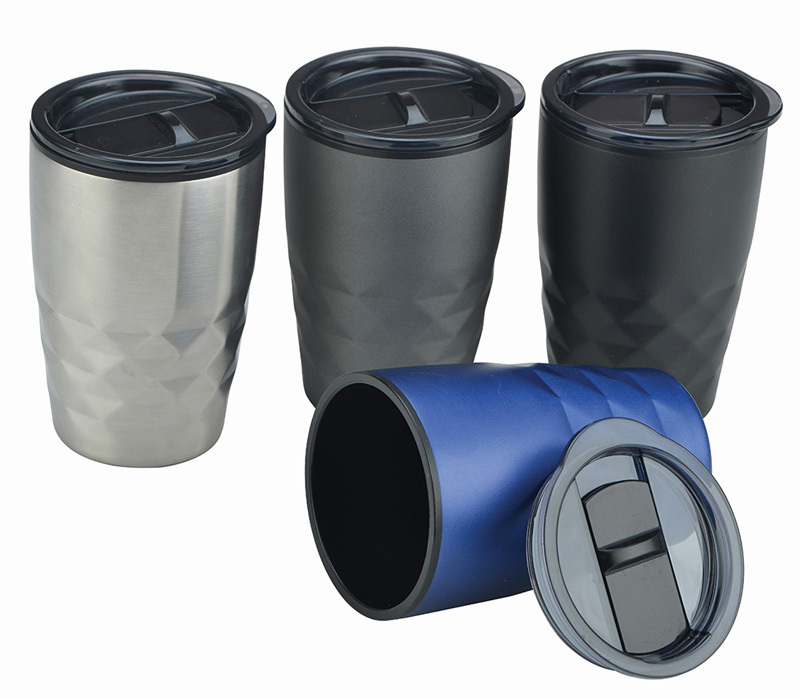 As we’ve said, our custom metal coffee cups can be used by your customers as often as they have hot drinks. 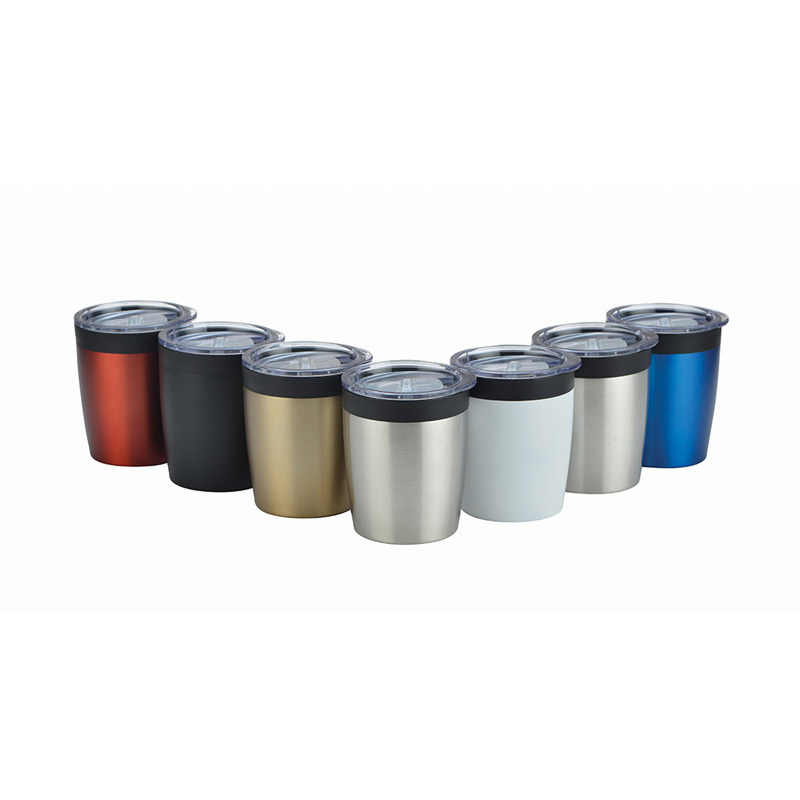 This means, each time they refill their coffee cups in metal with your logo, they will be exposed to your brand, and your business will be synonymous with the hot beverages they enjoy so much! You want a marketing tool that will help you stand out from the crowd – not one that blends in with everyone else’s. 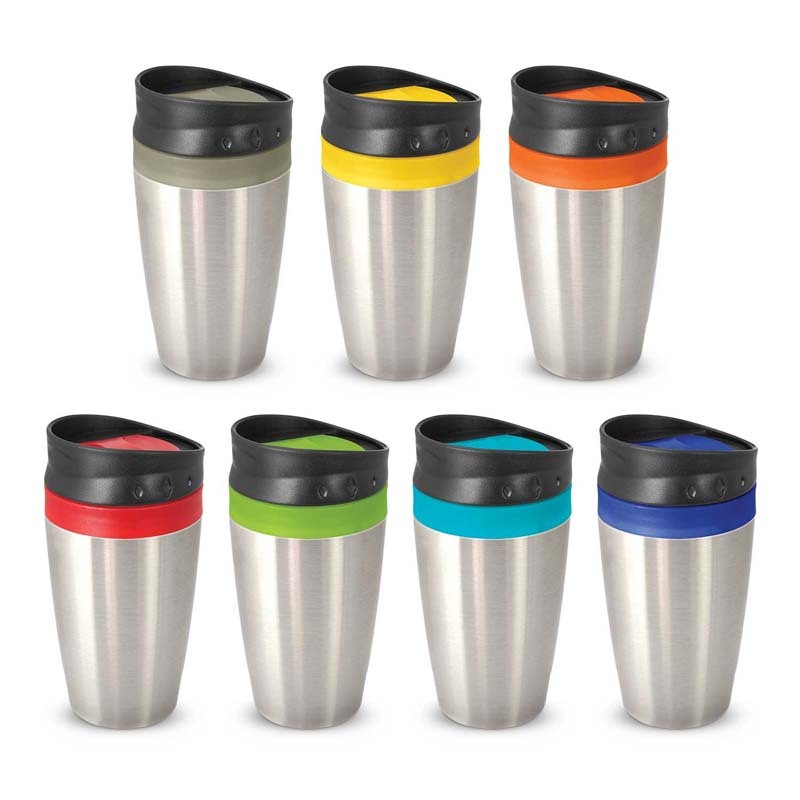 That’s why we’ve made it so easy to create custom metal coffee cups! Simply choose a style or design that suits your tastes and business, and then pick a colour scheme that complements your marketing material. 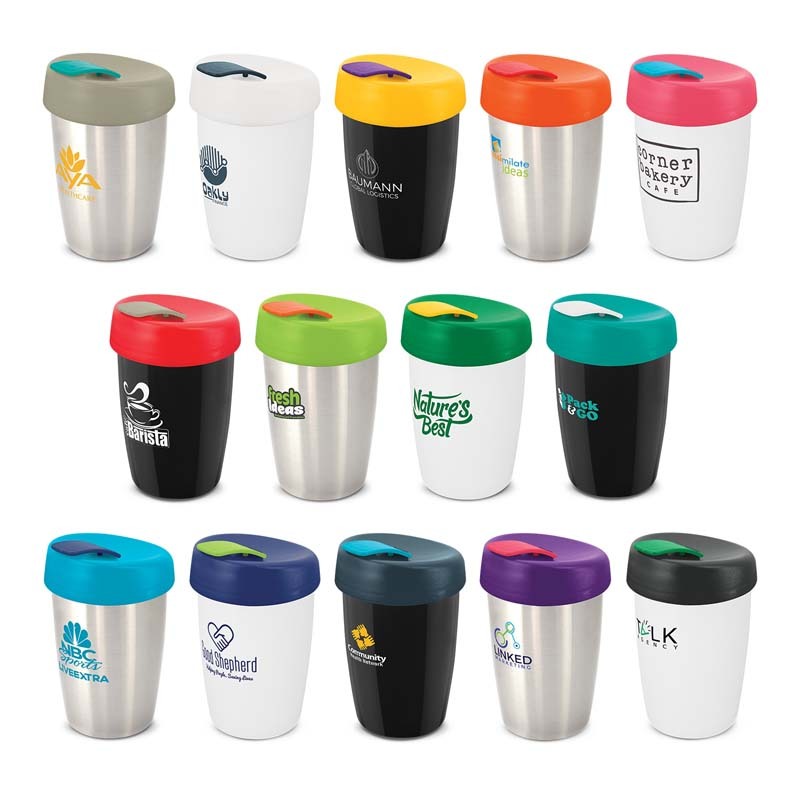 We then recommend printing your contact details and logo on metal coffee cups to ensure your customers know exactly who to call. 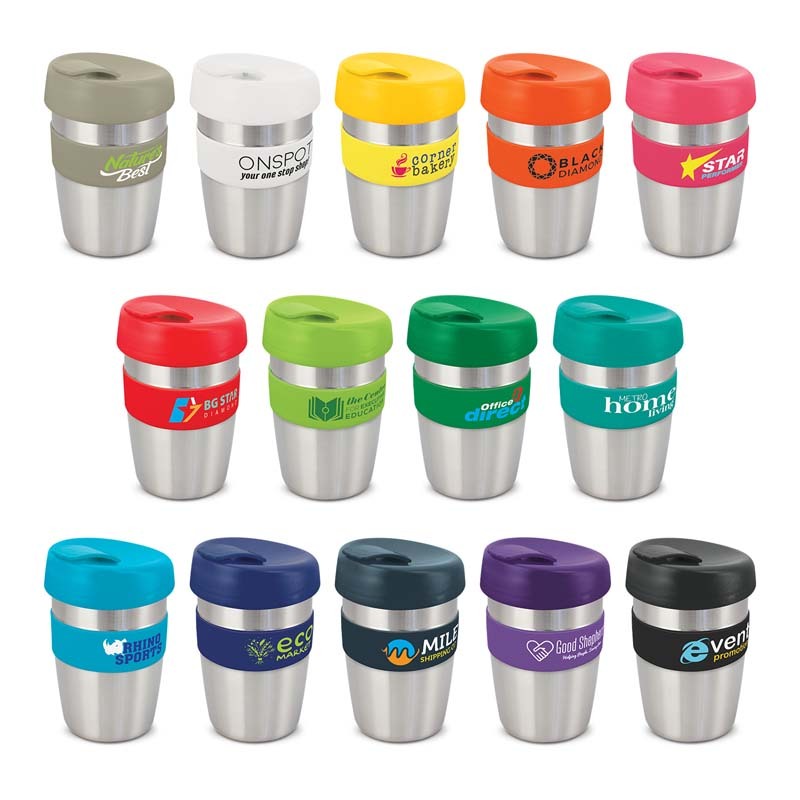 We’re proud to offer our promotional metal coffee cups in Melbourne, Sydney, Brisbane, Darwin, Perth, Adelaide and Hobart. 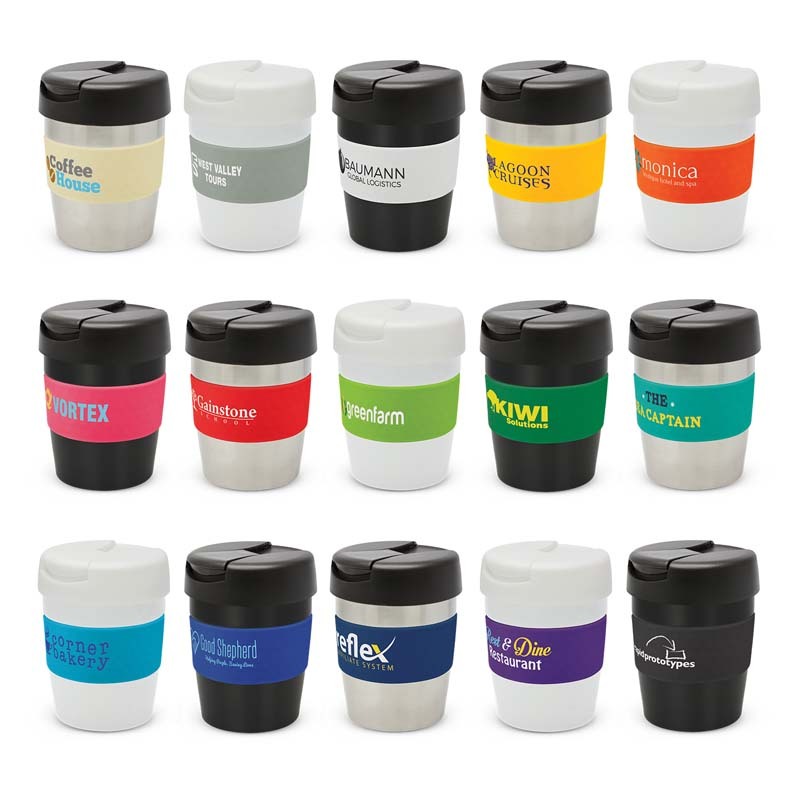 In fact, our personalised metal coffee cups are available across the country – we ship Australia wide!